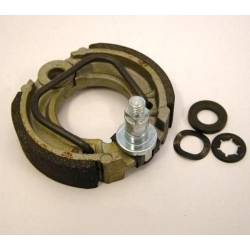 A set of hub brake pads and other internal parts for Sturmey Archer hub brakes. 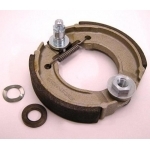 Both the 70 mm and 90 mm parts are available, to suit the two different sizes of brakes. 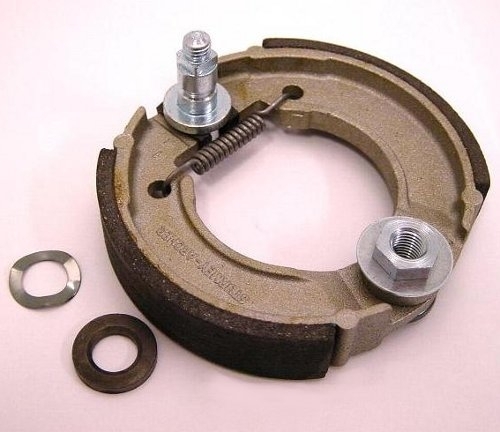 These parts are used on a wide range of bikes with Sturmey Archer drum brakes, from traditional "sit-up and beg" bikes to transport bikes and most velomobiles. Sturmey Archer hub brakes are extremely reliable and long lasting. 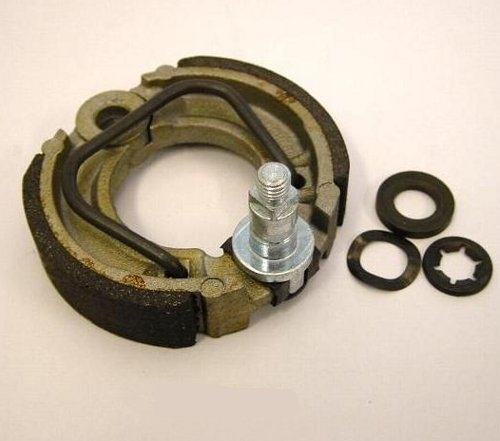 It takes a lot of time to wear out the brake pads, so first check that the brakes are set-up correctly.